Regardless of the precise circumstances, any kind of personal injury can leave the affected party subject to no shortage of confusion, including uncertainty with respect to how likely it be that your suffering translate into sufficient financial redress. Having just been the victim of someone else’s actions, you may be physically, emotionally or financially impacted in untenable ways—the kind of scenario that may quickly require the attention of a Charles County attorney in the event you’re a Maryland resident. Legal representation assures that you stand the best chance of advantaging in the wake of whatever injustice you’ve suffered. In the meantime, it certainly doesn’t hurt to become acquainted with your chances of collecting damages and the extent to which you might do so. Whilst some principles remain constant around the country, Maryland also features a unique law or two worthy of prior acknowledgement. 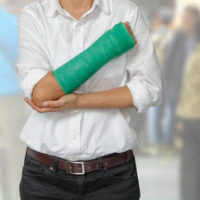 How much an injury victim may be due depends upon several circumstances. Assuming you’ve suffered unwarranted injury, you ought to document it and the surrounding events as much as possible, acquire information from relevant witnesses and immediately contact a local lawyer. Time may be of the essence in the event photographic evidence or medical opinion as per the accuracy of information associated therewith. One must first determine whether—amid adverse impact—they are entitled to damages at all. Should someone else be guilty of negligence, assault, battery, defamation, strict or product liability or wrongful death, chances are that you’ll have a case in the first place. The next key factor will be the relevant statute of limitations. While said limit is just one year for defamation, assault or battery, the rest of the aforementioned grievances entail a three-year statute of limitations according to Maryland law. These statutes determine how long you have between the date of an incident and when you file a personal injury claim. The nature of the damages to which you’re entitled depend in large part upon the nature of injury. They may include costs associated with medical treatment, lost wages, property related expenses, emotional distress, pain, suffering, affront to reputation and punitive reward associated with requirement for consequence. Once these damages are properly assessed, how much can you expect to actually receive? There’s no limit with respect to the damages you’re owed on account of financial costs associated with your injury. There is, however, a maximum of $710,000 associated with non-economic damages in Maryland. The state also prohibits punitive damages that are deemed unconstitutionally high as per a function of compensatory amount. Finally, injury incurred amid car accident may carry unique “no-fault” insurance that assures you compensation (e.g. for medical expenses) regardless of your responsibility in the matter. Estimating your damages and likelihood of being rewarded shouldn’t be an effort made alone. 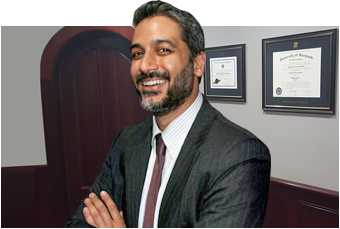 If you need assistance from a talented Maryland attorney, don’t hesitate to reach out to the Law Office of Hamad S. Matin, P.A. immediately for a consultation and to learn more about how we can help you.